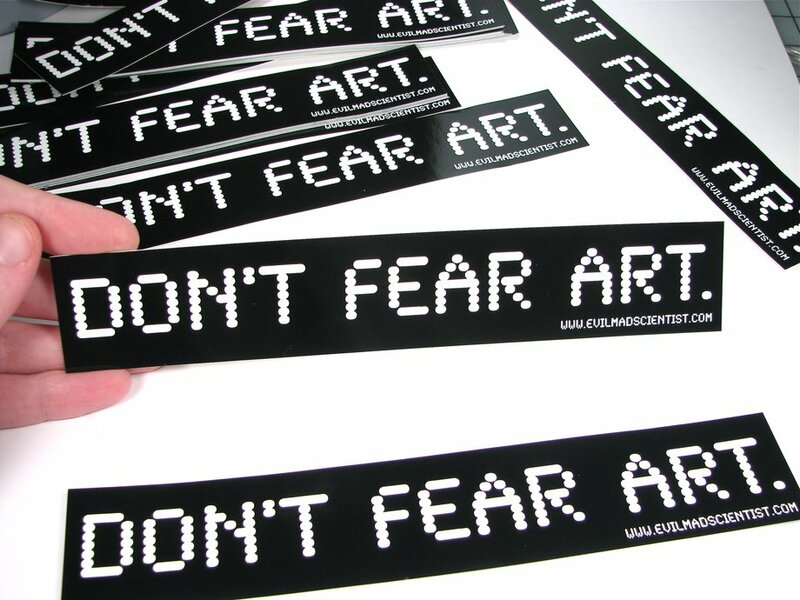 Just in case you know someone named Art that nobody needs to be afraid of. Vinyl stickers for fans of electronic art High-quality black and white vinyl stickers in an LED-like font. Tough and weather resistant. Long and skinny at 8.5" x 1.5", and would look great on your laptop, bicycle, lab notebook, nuclear reactor, bumper, and electronic art projects.